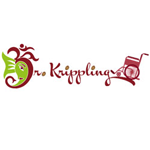 Dr Krippling - Buzz Light Gear. Free US delivery. One for the connoisseurs & daytrippers Krippling's 100% sativa mix's bred for flavour & smell. This plant forms crystal ladened calyx, upon calyx, upon calyx... with strong overtones of the hazes and mist + an undertone of orange bud. Buzz Light Gear will not knock you for six or shake you like a Polaroid picture! Makes your day perfect, as it gives an exciting, energising high, encouraging you '2 infinity and beyond..'!!!!! Do not get it twisted and underestimate it though. This is still a Krippling Strain, capable of causing temporary periods of immobility and singing you a sweet a lullaby drifting you to sleep more successfully than one's mother ever could.